You can rename font files according to full font name of the corresponding font. Select fonts in FontExpert and choose Fonts/Rename Font Files... menu command. 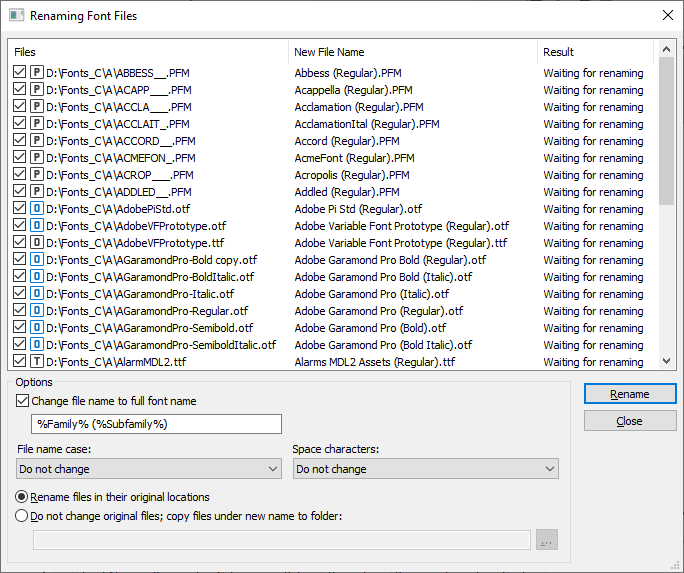 With the default option "Rename files in their original location" FontExpert will rename font files. For example, "calibriz.ttf" file will be renamed to "Calibri Bold Italic.ttf". With another option FontExpert can copy files to another folder and rename them. Original font files will remain unchanged.